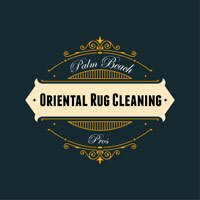 As any home owner in Palm Beach can tell you, beautiful Oriental rugs and cuddly pets rarely go well together. Your fluffy cat will shed hair on your exquisite rug and your friendly dog will place its grimy paws all over the expensive fabric. Likewise, they will likely contribute their share of liquid spills on your precious rugs and carpets – 'spills' that are among the hardest to remove. We know: one can hardly blame them. For pets, the floor is a place to walk, run and play on even if that floor is hosts an intricate and timeless Oriental piece. 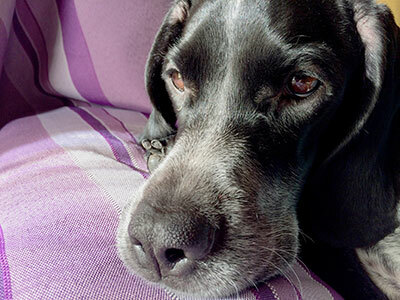 Don’t worry about it: to fight off pet stains, all that your rug needs is regular and thorough cleaning. But why go through the stressful task of doing it yourself when we're willing and able to help you? Let us take care of all the messy work while you sit back and bid your goodbye. Giving you a stress-free, efficient and highly-professional experience is our top priority, as is returning your rug in a condition that calls for amazement. Our team of highly-trained cleaning experts will use the extensive knowledge at their disposal to clean your rugs, making sure to treat every rug as an individual entity. Likewise, we always use the latest range of cleaning products and sophisticated tools that are compatible with your carpet and protect it from any further damage. We take our rug cleaning process very seriously and will only start after we've conducted careful investigation and planning. Our first step will be identifying the rug and its origin so that we can use the optimal cleaning method. While we're on the job, expect us to remove any and all dirt, dust, sand and pet hair hidden in the rug before making short work of all those pesky stains. During stain removal, we always make sure to adjust the chemicals in our solution based on the specific rug we're working on to ensure that its colors don’t bleed into one another and that the fabric remains soft and tender – if there are dye bleeds from previous cleaning, we will wash them off in no time. Drying the rug is a process of its own; we make sure to neutralize all the different solutions used before wringing all of the moisture out of the rug. We then use a blower to apply the finishing touch, avoiding the use of heat as it could damage the delicate fabric. 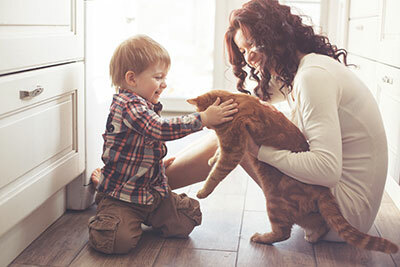 Our methodical process helps us return a rug that is squeaky clean and spotless – our services will do a 180-degree on your carpet, transforming it from drab to glam in no time. While our procedure can seem long or even excessive, rest assured that it's necessary to restore your carpet to its former beauty. Our cleaning process is well-planned and has been tried and tested plenty of times with results that were more than satisfactory. You won’t have to worry about a thing: just ring us up and let us take care of the rest.